Taste the food, feel the passion and be a part of all the fun! "The largest network of barbecue cooking schools worldwide"
Suitable for those who want to learn to cook food other than the standard barbecue fare of burgers and sausages, the Essentials Course shows how to use Weber’s renowned “lid-on” barbecue technique to grill, roast, smoke and bake! Learn how to use the Weber way of cooking to create warming winter dishes on the barbecue including Sunday roasts, soups and even your Christmas turkey! The Winter Warmers course includes mastering Weber's renowned "lid-on" barbecue techniques for grilling, roasting, smoking and baking. Nothing beats the authentic sensory experience of a charcoal barbecue. On this course, you’ll get a chance to delve into a world of flavour and learn valuable new skills, such as lighting and cooking methods. Enjoy exploring the Weber charcoal range! At our gas barbecue course our grill masters show the versatility and ease of using our Weber gas grills introducing our new Genesis II and Genesis II LX models and the world famous Weber Spirit- and Q-series. Learn how to barbecue everything from paella to apple chimney cake, the possibilities are endless. Grill Academy- a grilling experience for every taste and the perfect gift all year round! Why not show your family or friends how much you care, by giving them the gift that never stops giving… Whether they’re a beginner, or an experienced griller, our Grill Academy locations offers a course for everyone. Did you know that it is also possible to host your corporate team event or private get-together at the Weber Grill Academy? BBQ Courses at Retailers is our grill courses at your local Weber retailer. 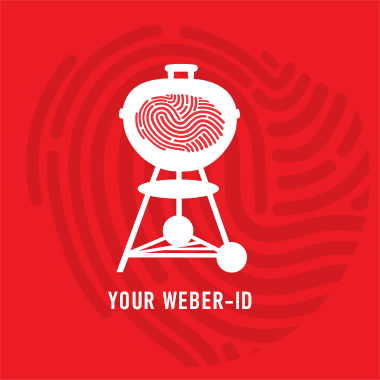 Weber’s mobile hands-on barbecue events, where Weber’s certified barbecue chefs drive around the country to execute grill courses for new and experienced barbecue enthusiasts.